As much as I am motivated by the topics of planning and architecture, there is nothing that gets me more riled than the subject of population growth and its impact on housing supply. It is hard to pinpoint the positives of a growing population; whether that growth is locally, regionally or nationally. In a developed country like ours, a growing population is not a symptom of a problem as it is in parts of Africa – but it can be a real problem in itself. When it comes to housing locally, the solution appears to be simply to build as many homes as is humanly possible in locations that might well be put to much better use. Toad’s Hole Hole Valley, on the way out of Hove, is one such spot but any green area could be up for grabs ultimately. Brighton & Hove City Council is, after all, making plans for another 11,000 homes. There is often an argument against new homes concerning infrastructure. There won’t be the schools, hospitals and roads. I agree but I would just say build each of these things. My concern is that an increasing population is unsustainable but also that what has been built in recent years (presumably to house as many people as possible as cheaply as possible), has been dreadful – and what is planned will be worse. It is sad that people fear new buildings and, on the whole, would always choose green spaces over them. It doesn’t have to be like this. I can’t imagine ever campaigning for Brunswick Square or Terrace to be knocked down to be fields again. But think of some of the less imaginative buildings in the suburbs around Brighton & Hove. There was clearly huge pressure for housing after the Second World War which led to the construction of homes that I would, to be perfectly honest, happily replace with grass. I am keen to see a surge in how much is built locally but am quite specific about what it should be. I’d much rather see converted houses turned back into what they were designed to be – proper family homes. Alongside this, I would be fascinated to see a return to the construction of purpose-built blocks of flats of a type not seen since the 1930s. Blocks like Wick Hall, Furze Croft, Courtney Gate, 4 Grand Avenue and Embassy Court attract huge premiums after all. Sussex is full of iconic structures including the Balcombe Viaduct, Arundel Castle and the Royal Pavilion. Above all of these though, a photograph of Lancing College Chapel was chosen for the front cover of Pevsner’s guide to the buildings of our great historic county. The western end of this Grade I listed building is unfinished and I applaud the way in which it was deliberately left to look as such. 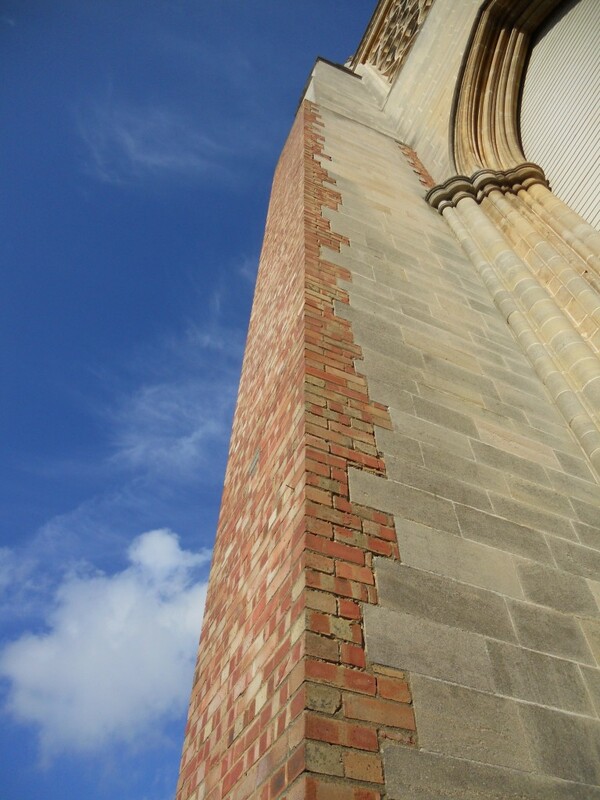 Brick was used instead of stone on that end’s buttresses so that nobody is left in any doubt that more work is to be done. 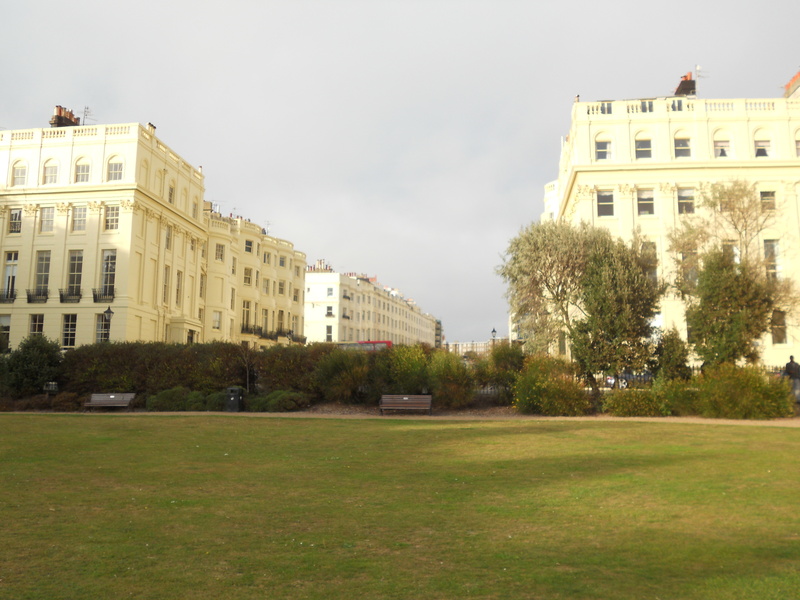 In Hove alone, a number of buildings are missing their proposed prominent features. Perhaps it would be a different story if more people were aware of the omissions. The missing towers of St John the Baptist’s Church, All Saints Church and even Hove Town Hall spring to mind for example. The initial vision for Lancing College emanated from the school’s founder, the Reverend Nathaniel Woodard. He founded a group of schools which includes Hurstpierpoint College and Ardingly College. Work began on Lancing College, designed by R. C. Carpenter, in 1848. Work began on the chapel though, designed by his son R. H. Carpenter along with William Slater, in 1868. The chapel reached its current state in stages and remains unfinished. Many remember the west wall of the chapel when it was covered with corrugated iron. It wasn’t until 1978 in fact that a scheme by architect Stephen Dykes Bower could be completed which incorporated the famous rose window. 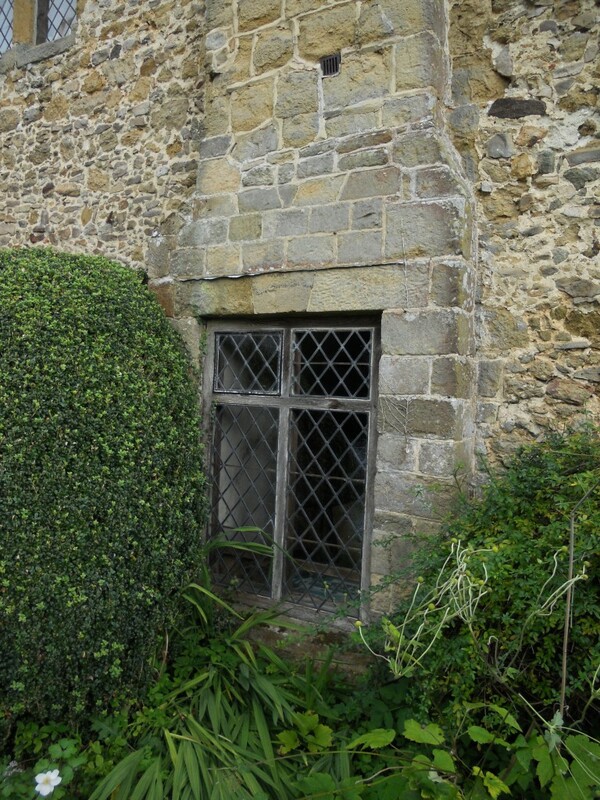 It was then that the wall was deliberately left unfinished so that momentum to build a porch would not diminish. 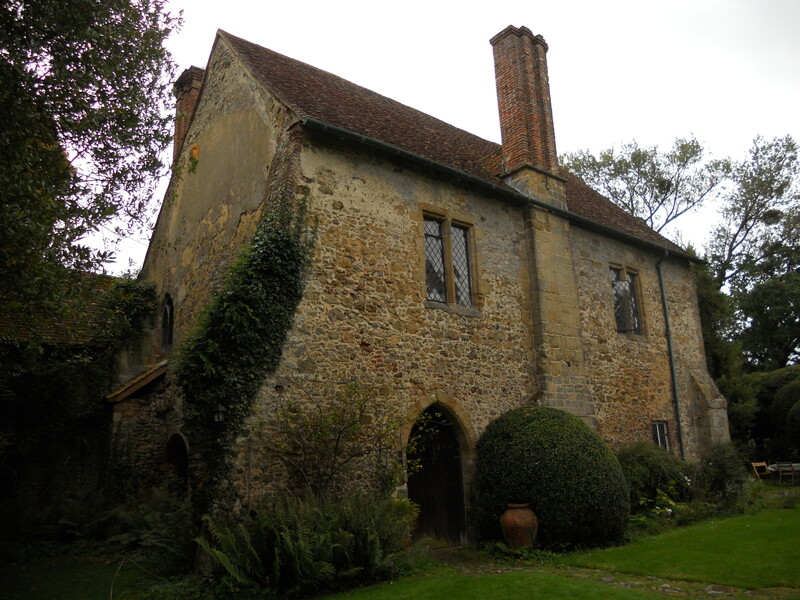 A design for the porch was published by Dykes Bower’s successor, Alan Rome, in 2001 and planning permission was granted in 2009. I was lucky enough to be present to see the foundation stone of the new porch being laid by Sir Robert Woodard, the great-grandson of the founder of Lancing College. 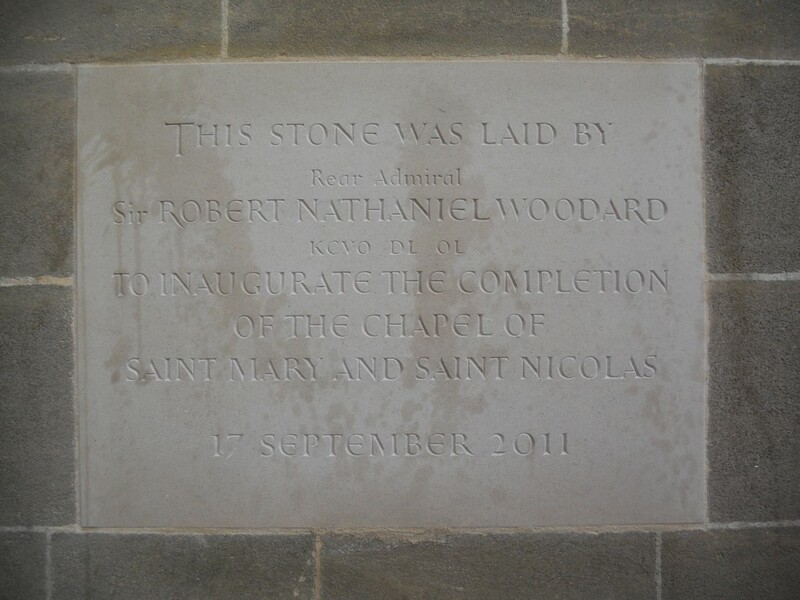 The Portland stone tablet marks the beginning of a huge project to raise £3 million to complete one of the greatest buildings in our wonderful county and, indeed, the largest school chapel in the world. I have no doubt whatsoever that the venture will be a success. Before updating readers on progress, I will be writing about several other buildings at Lancing College, including the Reeve Art School that was designed by Brighton-based LCE Architects. In front of the imposing mansion on the large triangular plot between Ditchling Road and Vere Road sits the Smart House. I heard about this intelligent building some years back but we only met on the recent Eco Open Houses weekend. When I think back to 2003 when much of this clever building was conceived, there was little happening locally in the way of environmentally friendly construction. A similar building which I adore, Earthship Brighton, was built in 2005 and that’s about the closest that Brighton & Hove has. Funnily enough, I bumped into my friend Mischa Hewitt, part of the Earthship team, during my Smart House visit. We need more people like Mischa building in Brighton! 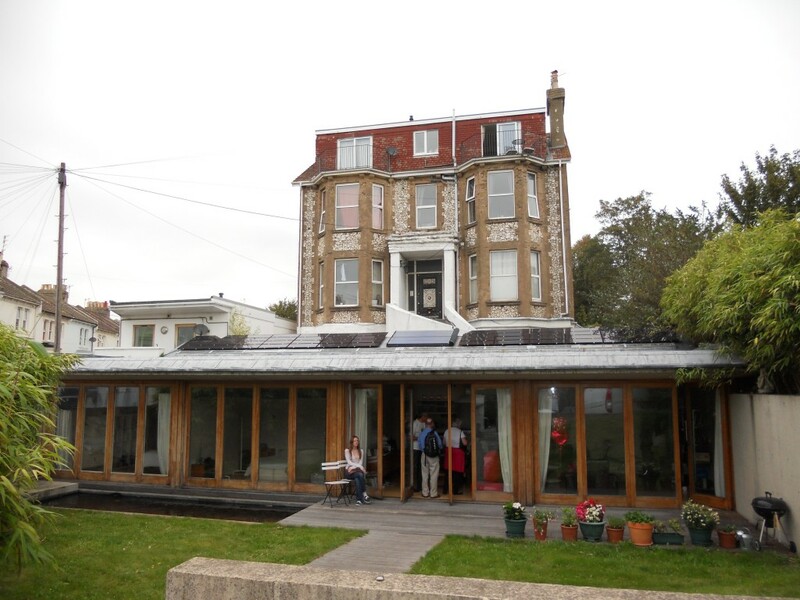 The Smart House brought together developer Colin Brace and architect Alan Phillips, both of whom currently have large stakes in the rejuvenation of the West Hove seafront. Colin is putting together the highly advanced PortZED scheme and Alan is designing the new Sackville Hotel site buildings. Alan told me, “The concept for the Smart House evolved directly from the context. Buildings are comfortable sitting IN sloping sites, not ON them.” I totally agree. Much of what goes on around and within the Smart House is hugely logical. 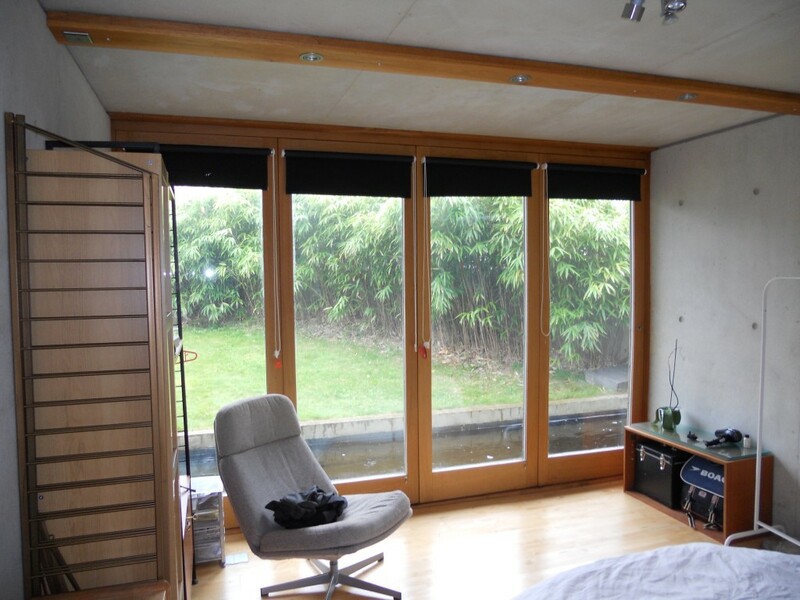 As a purpose-built eco home, it is naturally south-facing and rainwater is harvested to irrigate the garden. It has a sedum room with both solar thermal and photovoltaic panels. There are sixteen floor-to-ceiling doors across the front which provide ample light for the front rooms (from west to east, a master bedroom, a second bedroom and a lounge). The rooms behind (an en-suite bathroom, a shower room and a kitchen) receive some light through frosted glass doors inside but principally from windows in the roof. 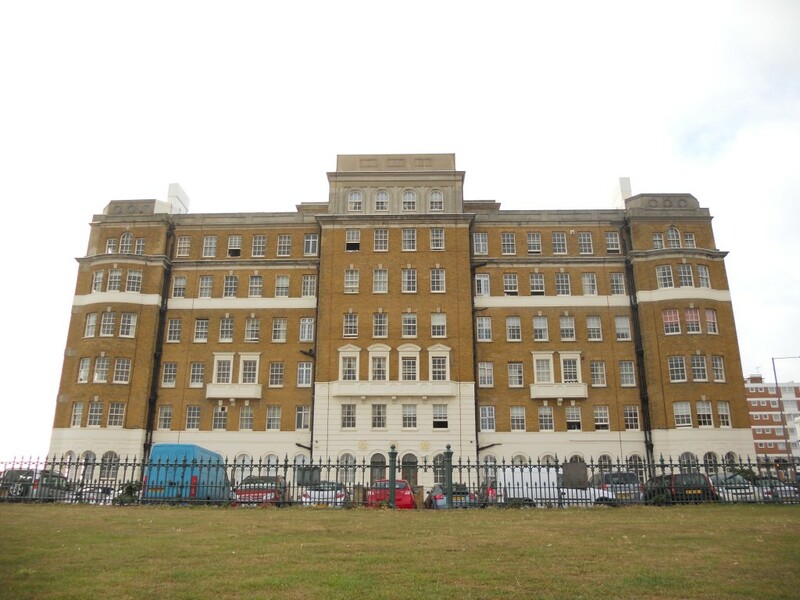 As a general rule, I am not a fan of development on any green space in our city nor do I approve of the large former nursing home behind, Rose House, being divided into eight flats. The internal finishes within the Smart House, which include polished concrete walls, are exceptional at least – and this fascinating interior could make me forgive almost anything. Buried walls, exposed concrete and solid floors don’t normally make for cosiness but this building is as cosy as they come. I expected chilliness but was ultimately met with warmth and tranquillity. If you do not believe me, be sure to visit during next year’s Eco Open Houses weekend.